This is a quick reroute that helped my car (turbo 1.6L in Arizona) a lot. If you do it and you still overheat please do the full one with the thermostat replacement. Things you need: • yard of heater hose • foot of copper tubing (copper radiates heat best) • at least 3 clamps • you may need a gasket for the back plate if it's damaged. 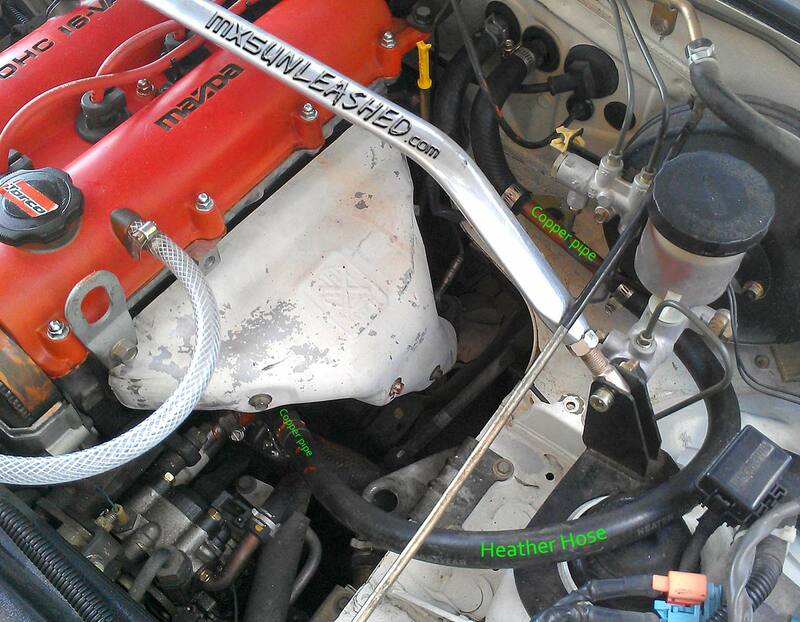 First, remove the heat shield form the exhaust header. Miata designers for some reason put this heater return line right under the header and actually bolted it to the exhaust header. 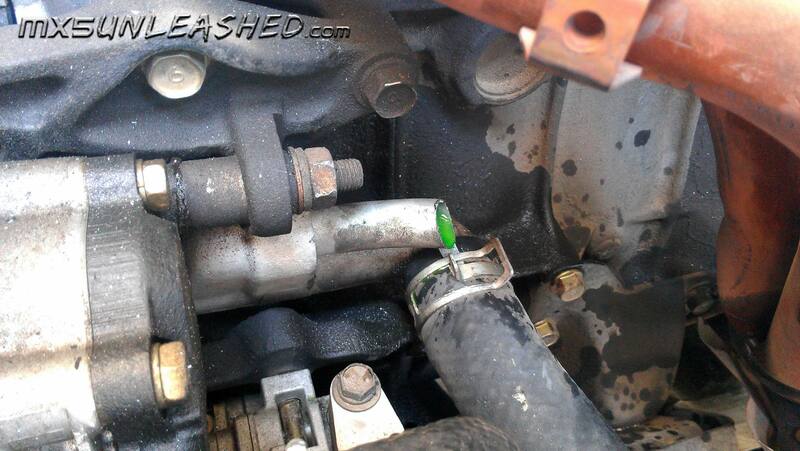 It's like they wanted to heat the coolant up. Now unscrew the pipe from the header and then rescrew the screw back on the header. Then remove the hose from the pipe and the heater core. 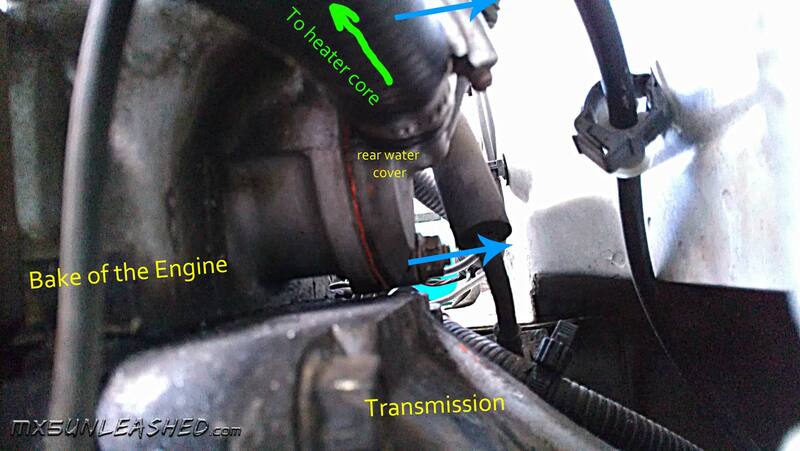 To remove back engine coolant outlet plate first, it helps a ton to remove the coil pack. It is held by 2 screws on top and one at the bottom in the middle. 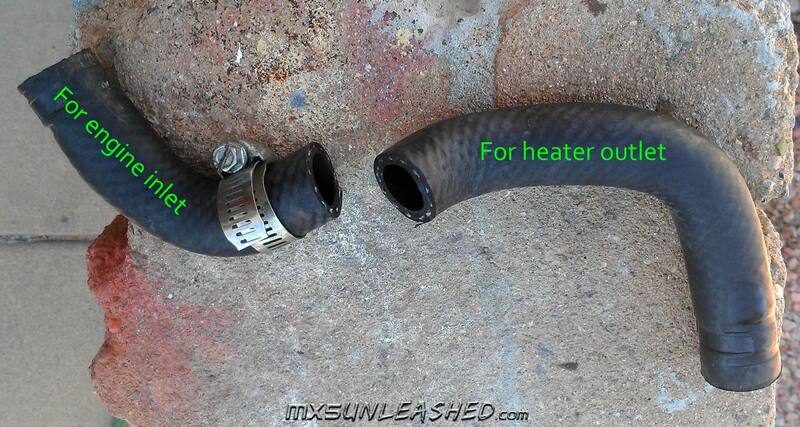 You can remove hose to the heater before or after you remove the back plate. It is held by a screw and a bolt, on top and the bottom. Then on the inside, using a file, you can smooth out all the sharp edges to improve flow. The better the flow the cooler the engine will keep. Then put it back on and reattach the heater hose. Next reinstall the coil pack. The hose from the heater get cut at the spot shown on the photo. Short piece will be used for the inlet to the engine and the long will used as a outlet from the heater core. Now you have to cut the steel line under the header, it has to stay in place but you can spin it, so point it away from the engine. Cut it right after the pipe starts turning, like on the photo. I cut it with a saw (also a great work out). Make sure the edges are smoothed out so that they do not chafe the hose later. Finally reinstall everything as shown on the photo. 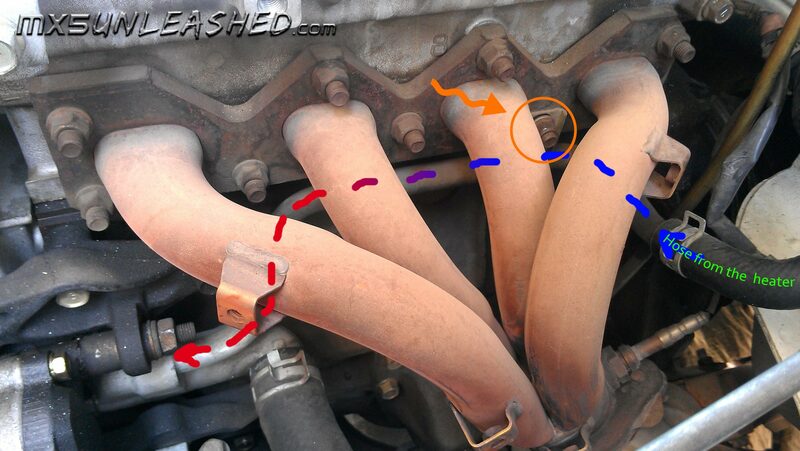 By just removing the flow from under the header you will decrease temperature in the engine especially at high RPM.